Jõgi 2018. 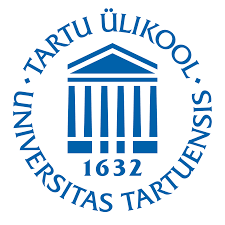 Epidemiological and clinical characteristics of pertussis in Estonia. Soeorg 2017. Coagulase-negative staphylococci in gut of preterm neonates and in breast milk of their mothers. Nellis 2016. The use of excipients in medicines administered to neonates in Europe. Lass 2013. Epidemiological and clinical aspects of medicines use in children in Estonia. Takkis 2012. Virtual screening of chemical databases for bioactive molecules. Kipper 2012. Fluoroalcohols as Components of LC-ESI-MS Eluents: Usage and Applications. Parm 2012. Early mucosal cilonisation and its role in prediction of invasive infection in neonates at risk of early onset sepsis. Metsvaht 2010. Optimal antibacterial therapy of neonates at risk of early onset sepsis. Kõrgvee 2008. The effects of neurotoxins on brain plasticity: focus on neural cell adhesion molecule. Oselin 2003. Studies on the human MDR1, MRP1, and MRP2 ABC transporters: Functional relevance of the genetic polymorphisms in the MDR1 and MRP1 gene. Varendi 2001. Human newborn behavior during exposure to maternal and other odors. Lutsar 1995. Kesknärvisüsteemi põletikulised haigused lastel (kliinilis-epidemioloogiline iseloomustus ja kaugtulemused).